States belonging to the Association of Southeast Asian Nations (ASEAN) joined the whole membership of the United Nations in making a solemn commitment to the Responsibility to Protect (R2P) principle at the World Summit in 2005. As ASEAN now seeks to integrate more closely by 2015, a High Level Advisory Panel chaired by the former ASEAN secretary-general and foreign minister of Thailand, Surin Pitsuwan, is arguing that R2P offers an important pathway to the establishment of an ASEAN Community. The panel (for which I serve as secretary) will launch its report on Mainstreaming the Responsibility to Protect in Southeast Asia at UN Headquarters in New York on Tuesday, September 9. Southeast Asia’s recent past includes many examples of genocide and mass atrocities. Most obviously, in the late 1970s the Khmer Rouge unleashed a reign of terror on Cambodia that lasted less than three years but left a quarter of the country’s population dead. The Khmer Rouge’s bloodbath came at the end of more than a decade of war in Indochina (Vietnam, Cambodia, and Laos) characterized by the systematic killing of civilians by all sides. Elsewhere, military governments in Burma (now Myanmar) committed atrocities against civilian populations associated with ethnic separatists, in Indonesia anti-communist militia and their allies massacred hundreds of thousands of suspected communists in the mid-1960s, and civil war in the Philippines involved the deliberate targeting of civilians. Anti-civilian violence in Southeast Asia arose from three factors in particular: interference and intervention from outside, the struggle for decolonization, and practices of state consolidation. Seared in the memories of many societies in Southeast Asia is the violence that ensued as a result of the battles for independence against different colonial masters—French, Dutch, British, Japanese, and Americans. The postcolonial experience of nation-building produced difficult periods of political transition as peoples endured civil wars, fought against sometimes cruel dictatorial regimes, managed ethnic tensions, and confronted deep divisions in multiethnic societies. The promotion of regional peace and cooperation, characterized by the termination of violent interstate conflict and the ending of civil wars in Cambodia, Indonesia, and the Philippines. The growth of regional institutions such as ASEAN, which has dramatically reduced the incidence and scale of armed conflict in the region. The gradual and managed transition away from authoritarian government and the establishment of more representative forms of government. A strong commitment to sovereignty alongside a growing recognition that sovereignty entails responsibilities of care and protection as well as rights. But if recent events in the Middle East and elsewhere teach us anything, it is that we can never take peace for granted and that new challenges to resilience will arise. To build on past successes, ASEAN leaders have committed themselves to establishing a more closely integrated regional community with political-security, economic, and social pillars by 2015. This is where R2P comes in. A meaningful regional community must be one that, at the very least, protects its peoples from the worst of crimes known to humanity. Much of the commentary about the High Level Advisory Panel on R2P in Southeast Asia will undoubtedly focus on its recommendations. At the regional level, these include calls to support efforts to raise awareness and public knowledge of R2P, develop and strengthen regional capacity for early warning and assessment through existing ASEAN arrangements, strengthen consultation and exchange on issues relating to the prevention of genocide and atrocity crimes and the protection of vulnerable populations, incorporate R2P-related consideration into the future agenda of the ASEAN Intergovernmental Commission on Human Rights, and support civil society efforts to promote human rights protection and advance the norms and principles of atrocity prevention. The Panel also identifies a range of steps that could be adopted at the national level: Governments could continue and further develop dialogue among stakeholders on building national institutions to support the prevention of genocide and atrocity crimes. They could consider signing, ratifying, and implementing relevant international treaties relating to these crimes. They could also give urgent consideration to the UN Secretary-General’s recommendation that all states conduct a national assessment of risk and resilience and participate in dialogue and peer review. To achieve all this, the Panel suggests that governments should consider appointing a senior-level official as national focal point for the Responsibility to Protect, to coordinate national efforts and lead engagement in regional and global dialogue. Indeed, the Panel concludes that the commitment of ASEAN member states to R2P is a “logical extension of the commitments that they have made to each other within the ASEAN framework.” Cooperation to protect Southeast Asian peoples from genocide and atrocity crimes is therefore seen as a necessary corollary to the establishment of an ASEAN Community. From this flow four important points, among the many emphasized by the Panel. First, the ultimate objective of R2P—the protection of populations from genocide, war crimes, ethnic cleansing, and crimes against humanity—is consistent with and integral to the overall goals of an ASEAN Community. Second, the norms and objectives of the Responsibility to Protect are not alien to ASEAN. Southeast Asia is already well endowed with norms relating to the prevention of these crimes and the protection of populations from them. Third, ASEAN already has important mechanisms and instruments that are particularly relevant to the implementation of the R2P. These include, among others, the ASEAN Intergovernmental Commission on Human Rights, its Commission on the Promotion and Protection of the Rights of Women and Children, the ASEAN Treaty of Amity and Cooperation, and the Treaty on the Southeast Asia Nuclear Weapon-Free Zone. 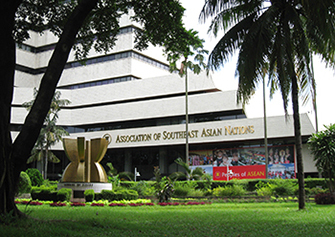 Fourth, as one of the world’s leading regional organizations, ASEAN should work more closely with the United Nations to promote international peace and security. By making arguments like this and outlining practical steps that might be taken to fulfill national, regional, and global responsibilities, the Panel’s work has the potential to mark the beginning of a new era for R2P, one in which new sets of leaders from different regions take the lead in “localizing” the principle, making it part of daily lived reality for populations around the world. Whatever the future trajectory, however, the very fact that a group of prominent Southeast Asians are coming to New York to make the case for renewed effort to mainstream R2P demonstrates that the principle is now one that is genuinely global in its scope and—significantly—in its ownership.